Steve Kenney is suspended and sent to diversity training after posting horrifying messages on the Facebook site of OutSports editor Cyd Zeigler. The principal of Center Academy in Pinellas Park, Fla., has been suspened without pay for two weeks and sent to mandatory diversity training and professional counseling, after labeling an OutSports editor "sick" and saying gays should be "put to death" on Facebook. 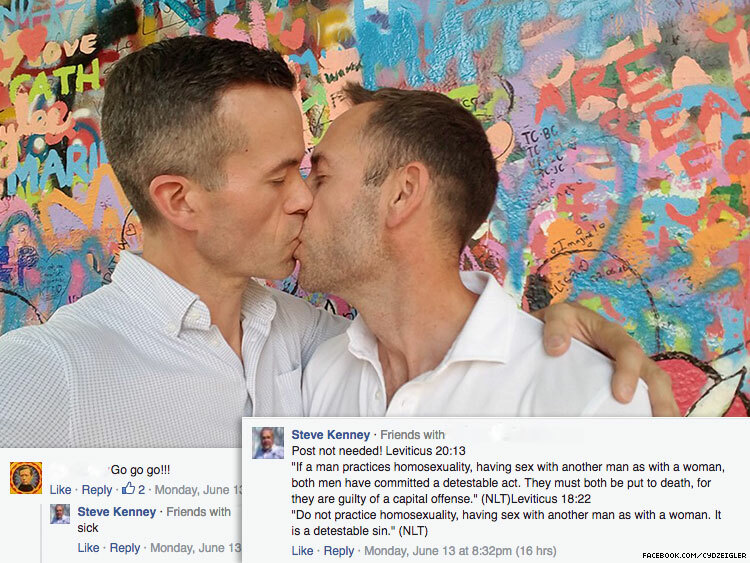 Steve Kenney is now facing repercussions for his Facebook screed, which came just days after the Pulse shooting in June. As a show of gay pride in the wake of the massacre, Outsports co-founder Cyd Zeigler posted a photo on his page of him kissing his partner. Kenney — not a direct Facebook friend of Zeigler's — responded to the photo by writing "sick." He followed that up with two passages from the Bible, including one where it is advised that gays be "put to death." Zeigler then discovered that Kenney was a school principal. Zeigler immediately informed Center Academy, a school for dyslexia treatment, autism spectrum, and attention deficit disorders that began in 1968 and previously won a grant from the National Institute of Mental Health. While Center Academy CEO Andrew Hicks responded to Zeigler, he was not specific on what actions would be taken against Kenney. On Thursday, Hicks finally released a statement. "We do not condone nor agree with the views or values reflected in the recent personal Facebook statements posted by an employee of our school in mid-June. On behalf of Center Academy, we extend our sincere apologies to anyone who was hurt or offended by them. "As we shared with the writer from Outsports, the statements are a serious violation of our school’s Code of Ethics and non-discrimination and social media policies. The employee was suspended without pay for 2 weeks, will be attending mandatory diversity training and professional counselling, and has permanently removed the post from his personal Facebook account. Further, in making every effort to ensure this situation does not occur again with any employee of our school, we will conduct mandatory, school-wide diversity training this August (and annually moving forward) at each of our campuses. This is in addition to our yearly Code of Ethics and non-discrimination and social media policy reviews and updates held each August before school begins."